Self-explanatory:Demand increases cause higher prices. On Jan. 1, the first legal recreational marijuana outlets will open in Colorado. And with the rise of the new legal marijuana industry comes the question of what newly legal recreational weed should cost. As it turns out, new users might be best advised to wait a few months before buying their weed. Some experts and store-owners say that getting high in the mile high state will likely be expensive at first, with prices easing off as the supply of weed catches up to the demand from Americans hoping for their first chance to buy recreational marijuana legally. [PHOTOS: Marijuana Through the Years] "I do expect the price to go up at least for the first few months," says Rachel Gilette, an attorney at Colorado's chapter of the National Organization for the Reform of Marijuana Laws. "That's only because the supply is going to be very limited and the demand has just jumped massively." I'm on vacation this week. At best my posts are going to be reposts (shocking, I know). At the behest of Ohio regulators in 2011, [American Electric Power] agreed to split its Ohio operations into two companies: one that delivers power and handles billing, and one that owns and operates power plants. The separation means that AEP’s power plants will no longer directly serve the utility’s customers in the state. Instead, the plants will sell electricity on the open market, while the delivery business will purchase electricity on the market for its customers. AEP’s power plants probably will serve a portion of the company’s customers, but only through a competitive-bidding process in which other companies have the opportunity to offer a lower price. AEP, which was reluctant to split its Ohio operations, has responded by focusing on the delivery business. Meanwhile, the Ohio power plants are a shrinking asset. Because of environmental rules and the age of some of the plants, the company has announced a series of shutdowns that will occur over the next few years. Also, AEP is in the process of transferring two plants away from Ohio regulation. The plants, both of which are in West Virginia near the Ohio line, will be regulated in nearby states that allow a utility to sell electricity directly to consumers. Once the moves are complete, AEP will have 8,668 megawatts of power-plant capacity in the new Ohio power-plant subsidiary, which will be down from 11,652 megawatts today. Akins says the company is responding to an economic climate in which there is little reason to build power plants in Ohio. The state’s electricity demand has been flat, and the regulatory structure provides no clear way to pay for plant construction. This is very accurate. My parent's families are from 30 minutes north of Winston-Salem and an hour south of Richmond. Here is the link. I managed to make it to campus today! 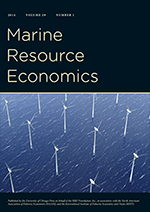 The Journal of Environmental Economics and Management has been the official journal of the Association of Environmental and Resource Economists (AERE) for 39 years. Recently AERE decided to establish the Journal of the Association of Environmental and Resource Economists (JAERE) as their new official journal. Since Dan Phaneuf, the current JEEM managing editor, is stepping down to become the inaugural editor of JAERE, there arose the need to establish a new editorial team for JEEM. Till Requate (Kiel University, Germany) has agreed to serve as the new managing editor for JEEM. Prof. Requate looks forward to this big challenge with great excitement and anticipation, and he has put together a well balanced team of highly respected environmental and resource economists from Europe and North America. In alphabetical order the new co-editor team consists of Jared Carbone (University of Calgary, Canada), Fredrik Carlson (University of Gothenburg, Sweden), Matt Cole (University of Birmingham, UK), Ujjayant Chakravorty (Tufts University, Boston, USA), Linda Nostbakken (Norwegian School of Economics, Norway), Jay Shimshack (Tulane University, USA), and Roger van Haefen (North Carolina State University, USA). The editorial team also represents the different fields of environmental and natural resource economists. In the future we plan to also recruit co-editors from other parts of the world. The aim of JEEM is to continue publishing high quality research in environmental and natural resource economics, covering both theory and empirical work. JEEM also welcomes interdisciplinary work focusing on environmental and natural resource economics issues, where methods from other disciplines are used to address research questions that require expertise beyond the economics paradigm. While Dan Phaneuf bids JEEM a fond farewell and continued success, Till Requate and his new team welcome old and new authors' submissions of their high quality research to the Journal of Environmental Economics and Management. We look forward to working with the global community of environmental and natural resource economists and a continued cordial relationship with AERE. I know Roger von Haefen but have no idea who this Roger van Haefen character is. Hat tip: Comics Curmudgeon (follow the links and look for the moon synonym). How much is one of Santa's reindeer worth? According to the Danish Air Force, about $5,000. That is what they paid Olavi Nikkanoff, a Danish farmer who plays Santa Claus at Christmas, to compensate for one of his reindeer, named Rudolf, who was apparently killed by two F-16 fighter jets earlier this year. 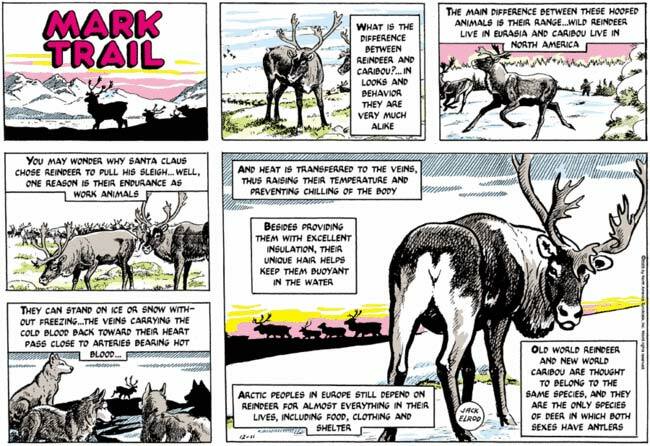 The reindeer was not shot out of the sky, however; rather, he was minding his own business on Mr. Nikkanoff's farm when the jets screamed overhead at a low altitude, scaring poor Rudolf to death. Mr. Nikkanoff said he was satisfied with the compensation and would use it to buy a new reindeer before Christmas. Meanwhile, reindeer sausage, chips and a drink costs $5 on a street corner in Anchorage, AK. Adjusting with the CPI, the values of reindeer and lunch are $5978.90 and $5.98 in 2013 dollars. Most kids and adults want a new environmental economics book for Christmas. This is why Amazon will give away for free ($0) my new book Fundamentals of Environmental Economics: Solving Urban Pollution Problems. This deal is only for December 25th and 26th 2013. Given the comments I received from my UCLA students this fall, I have rewritten the entire book and it is starting to look quite strong. For those of you who have wondered about "Chicago Price Theory" and its applications to environmental and urban issues, this book offers an introduction. In my humble opinion, it simultaneously introduces the material and shows the reader what are many of the open research questions in the field. It also teaches the reader what applied micro economists do all day long and the challenge of integrating statistical analysis with incentive theory. How is Chicago price theory different from neoclassical price theory, other than the normative position and its application in social and other contexts (e.g., marriage and family)? Did I just answer my own question? Fill cavities? While this is certainly true, wouldn't a better example be jewelry? Hence, I'm smarter than Krugman. Q.E.D. ESPN''s Bill Simmons will be an executive producer, along with Connor Schell, on the film Million Dollar Arm, starring Jon Hamm, Bill Paxton, and Lake Bell. Million Dollar Arm tells the true story of a sports agent attempting to recruit a pair of teenage Indian cricket players to play professional baseball. In the trailer for Million Dollar Arm there was an endorsement quote from Bill Simmons on the screen (I can't find the trailer with the Google). I was thinking, "wow, The Sports Guy likes it, it must be good." But now I feel like I need a shower. How kosher is it to serve as an executive producer and also endorse the film as some sort of cool guy independent observer? Shouldn't movie trailers have a conflict of interest policy? Even the American Economic Association has one. The Montana Institute on Ecosystems at Montana State University invites applications for the position of Natural Resource or Environmental Economist. We will consider qualified individuals at the Assistant, Associate and Full Professor rank, with the home department to be determined at the time of hire. We seek an active teacher and researcher in the area of environmental and natural resource economics who can provide expertise on economic and social dimensions related to climate change, water and resource vulnerability in the western U.S. When this came across the RESECON list I read it twice and contemplated life in Bozeman (sigh). From the inbox, the new JEEM cover has a recycling icon? I had heard that there was some confusion over who actually owned the AERE tree (seen at the right on a previous JEEM cover). I once read somewhere that this was "Ralph's tree." Ralph d'Arge insisted that it be on the cover of the journal or he wouldn't serve as editor -- but I can't find the document anywhere. Ironically, I've also heard that many faculty in awesome departments of economics have a certain lack of respect for any journal that has a tree on the cover, despite evidence from citations based journal rankings. This is because a tree represents a lack of seriousness or something like that. Here is a 2007 lament when the AERE tree was morphing into the cypress tree that served as the icon for the 2002 World Congress. I can't wait to see what is on the cover of JAERE. I am hoping the journal has a certain lack of seriousness. More importantly, for all of you who are like me, last to know, Till Requate is the new editor at JEEM as AERE begins JAERE. I'm off campus (i.e., home for the holidays) so don't have access to ScienceDirect (I can't even figure out my guest access after logging in to VPN) so can't read the message (grrr).